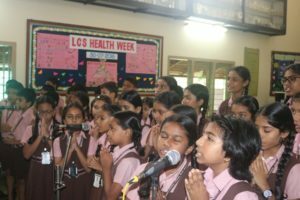 Having good health, being able to breathe and be happy, that’s one of the most beautiful gifts ~Roy Ayers. 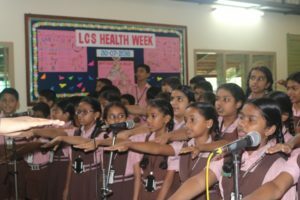 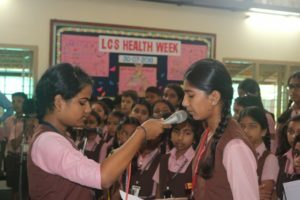 The Health week was inaugurated on 30 July 2018 in the school lobby. 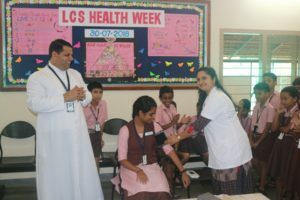 The school nurse Ms Jasmine Shinoj checked Blood Pressure of our beloved Principal Rev. 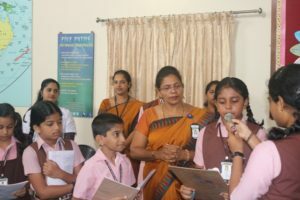 Fr Robert D’Souza and the school head girl Miss Eva Jessica. 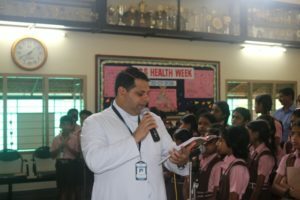 Father Principal addressed to the students by highlighting that this is a unique programme conducted by our school by organizing talks for students and teachers on health issues, display of charts on goodness of health and conduct health check up for students during this week. 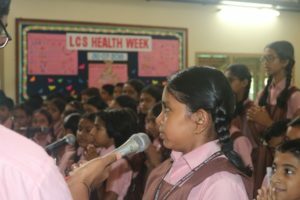 Related to the project a week long class assemblies were conducted by various classes on topics related to health like balanced diet and healthy lifestyle, importance of exercise, yoga and meditation, lifestyle diseases, importance of vaccination and immunization, importance of personal and environmental hygiene, cause and prevention of communicable diseases. 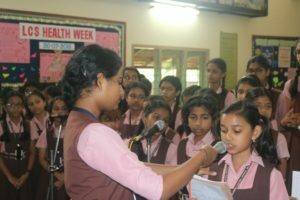 On 30th July 2018, for students of class VI, VII and VIII a talk was organized on ‘Puberty and Adolescence’. 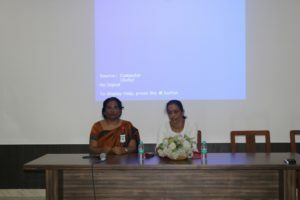 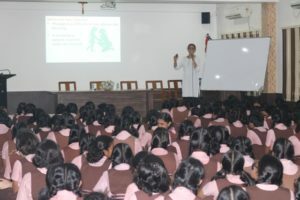 Dr. Amith Aroor a Pediatrician and Adolescence specialist at A J Hospital and Research Center addressed the girls. 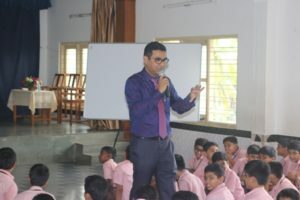 The boys were enlightened by Dr. Ashfaque Mohammed about puberty and adolescence. 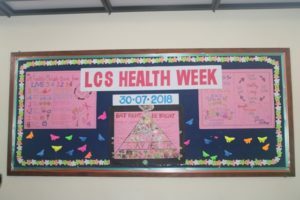 On 3rd August 2018 a talk was organized for staff of LCS on general health issues. 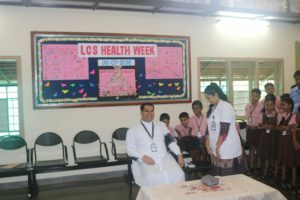 Dr E V S Maben was the resource person who highlighted the risks of diabetes, blood pressure, heart and kidney related diseases. 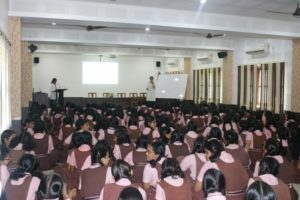 On 6th August 2018 Class IX students were given a talk on ‘Drug Addiction’. 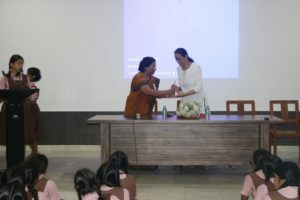 Dr. Ann Thomas was the resource person. 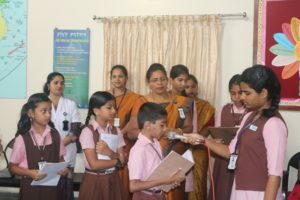 Students were highlighted with the hazardous effects of the drugs being consumed due to the addiction. 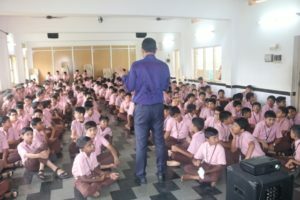 On 6th August 2018 a talk on mental health was organized for the students of class X. Dr. Shalini Aiyappa was the resource person who enlightened and advised he students on stress management. 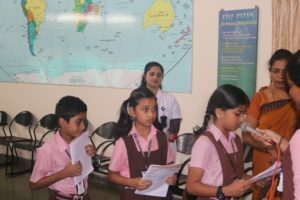 Pediatricians and ENT specialists of Kasturba Medical College, Mangaluru conducted health check up for students of Kindergarten to Class XII during this period as a part of the Health Week Programme.